A note from Peter F. Hunt Chairman and CEO - HUNT Real Estate Corp. Luxury real estateâ&#x20AC;&#x201C;truly distinctive propertiesâ&#x20AC;&#x201C;have rarely, if ever, been more affordable than they are today. Equally as rare have I seen such a wonderful collection of fine homes available right now in all the markets we serve. This publication is designed to showcase just some of these exceptional residences. From lakefront estates to the finest traditional city neighborhoods to ultra-sophisticated contemporary homes, whatever your tastes, you will find something to interest you. Please indulge yourself and look closely at the following pages. Then call the agent handling the home of your dreams and request a private viewing. I know you will be impressed. Our finest, luxury listings are selling. The opportunity for you may never be better. 4202 Lower River Road | Lewiston, NY 14174 Seldom does a property in such pristine condition and enviable location become available situated on 2.5 acres with 288' on the river. This spectacular waterfront Mediterranean style villa enjoys magnificent views. The estate is beautifully landscaped and gated. Property features English gardens, tennis/pickle ball court. Beautiful patio & terraced down to the river. 30x12 year round atrium with gas fireplace and wet bar. 15x10 butler's pantry. 8171 Cole Road | Boston, NY 14033 This magnificent all brick custom Julius Blum, 4 Bdrm/3.2 Bath home located on a pvt drive. Dramatic open flr plan & architectural details. Features: European archways, custom built-ins, statement lighting, trayed ceilings, custom crown moldings, hdwd flrs & custom solid oak drs thruout. 70 Harbridge Manor | Amherst, NY 14221 Exquisite One-of-a-kind Greythorne. On Golf Course. Perfect 1 Floor Plan with Luxury upgrades & finishes. Lower level is totally finished 1884 sq ft with 3 Egress Windows & Luxury materials equal to Main floor. 2 Beds, 2.5 Baths main floor; 1 Bed, 1.5 baths lower. Full Luxury Apartment Lower Level for Guests,InLaws,etc. 9 Aaron Trail | Orchard Park, NY 14127 This magnificent all brick custom Julius Blum, 4 Bdrm/3.2 Bath home located on a pvt drive. Dramatic open flr plan & architectural details. Features: European archways, custom built-ins, statement lighting, trayed ceilings, custom crown moldings, hdwd flrs & custom solid oak drs thruout. 4955 Goodrich Road | Clarence, NY 14031 Three prime to-be-built opportunities in Clarence!! Natale Builders offers 3 plans featured on these sites other plans are available. Standard features include; fully graded & seeded lots, energy star, granite and corian countertops, partial stone & wood facade, designer front & garage door and custom designed floor plans. Three prime to-be-built opportunities in Clarence!! Natale builders offers 3 plans featured on these sites other plans are available. Standard features include; fully graded & seeded lots, energy star, granite and corian counters. This 3,167 s/f 4 BR, 2-1/2 Ba home by Bliss Custom Homes offers exceptional design and detail. Lg kit w/ eat at island, bar & dinette area opens to the Fantastic GR w/ FP & coffered clg. Command cntr, walk in pantry & big mud rm off kit. Custom built "Lakefront" Ranch with spectacular views of Lake Erie and steps down to getting your toes wet. This brick home features updated kitchen with granite countertops, stainless appliances and recently updated bathroom fixtures. Three prime to-be-built opportunities in Clarence!! Natale builders offers 3 plans featured on these sites other plans are available. Standard features include; fully graded & seeded lots. energy star, and Granite and Corian counter tops. 27 Greythorne | Pittsford, NY 14534 New Listing! One of Greythorne hills finest! Home has been updated with freshly painted interior, new light fixtures and carpeting. Exterior includes whole house generator and four car garage. Owners have added, two new dishwashers. wall ovens and Upgraded security system. Opened stair case to terrace level, some new carpeting and flooring in terrace level. All to enhance this 6/7 bedroom & 6 full bath Colonial. 5800 square feet does not include the approx 2100 square feet of professionally finished terrace level, that has 7 seat Theater room, work out room/bedroom, huge family or game room and storage area. Great home for entertaining! 30 Beach Flint Way | Victor, NY 14564 Get the most for your money! Over 6000sf of elegance and sophistication on 2 magnificent acres in Cobblestone Creek for $162.50/sf!! This rare and recently updated custom home showcases above average workmanship and architectural forethought along with a supremely private location on a cul-de-sac tucked away from the golf course! 2175 Scottsville Road | Chili, NY 14546 This stunning 5465 sq ft colonial will leave you breathless. Completely renovated top to bottom, with EVERY detail meticulously redesigned to leave nothing to do but move right in and begin to enjoy the grandeur of this spectacular homestead. This house beckons a Bed and Breakfast atmosphere, or a perfect beginning for a large extended family. Lowest Rate Guaranteed* In need of a mortgage? Let us help. We bet that when you shop for a car or appliance you investigate to find the lowest price for the best product. You should take the same approach when looking for a mortgage. HUNT Mortgage will find the best rate and program available to you and we guarantee it! * We shop around so you don't have to! As New York natives, nobody knows your community better than HUNT Real Estate because We Live Here, too! Visit us today and let our real estate experts help you find your next perfect place to call home. Our licensed HUNT Homeowners Club attorneys provide a wide array of legal services: Real Estate Purchase‚ Real Estate Sales‚ Power of Attorney‚ Simple Wills‚ Name Change and more. 1399 Berry Road | Fabius NY 13084 Escape the ordinary at your own secluded retreat.This property offers a meticulously renovated ranch home & impressive grounds. Inside & out, there are several places to sit & relax or entertain. Everything is new & it's fully furnished, so you can just move in and enjoy. 4001 Oran Gulf Road | Pompey NY 13104 Nature is your neighbor in this private 28+ acre playground located in the FM school district. This 5200 sqft. Colonial/Transitional has Maple flooring that was cut down on this homesite. The chefs kitchen has all the latest amenities, beautiful granite island, custom designed kitchen cabinets. 10 Sunset | Lysander, NY 13027 APPLECREST- Welcome to one of the most unique properties in all of central New York. This Brick & Stucco Tudor Revival home is considered to be one of the best examples of WARD WELLINGTON WARD architecture style. This 1925 8,500 sq. ft Mansion, epitomizes... Please note, dog does NOT come with the house. As real estate companies merge, morph and disappear, HUNT thrives. 4122 Lake Shore Drive | Bolton NY 12814 Beautiful lake front property situated on 1.42 acres with 135' of waterfront. This 4 bedroom 2 bath log home is conveniently located just minutes outside of town, offers deep water frontage, and has a 2 bedroom guest cottage. 6B6 Sagamore Road | Bolton, NY 12814 Opportunity to own your own private residence at the highly desirable Sagamore Resort. This 2 bedroom 2 bath unit features filtered lake views, a wood burning fireplace, and two balconies. This unit is currently in the rental program and all hotel amenities are available! Speed Your Way to Approval Put your home loan application in the fast lane with the HUNT Mortgage Engine. Our secure portal allows you to easily connect all of your financial info to your application, such as your bank accounts, TurboTax and payroll - creating a simple and complete application process. HUNT Mortgage Corporation - NMLS 37405 5400 Broadway Street, Lancaster, NY 14086 Toll Free: 888.433.8373 Mortgage Banker License #B500142 - New York State Department of Financial Services The results of using HUNT Mortgage Engine are dependent on individual circumstances and chosen loan programs. Information provided here for illustrative purposes only and personal experiences may vary. When you buy or sell your home through HUNT Real Estate, you are granted lifetime membership to the HUNT Homeowners Club, our complete resource for all of your moving and homeownership needs. The HUNT Moving Concierge Through our all-inclusive online platform, you can compare moving and storage companies, find your new utility providers and get an estimate for how much they will cost, set up your mail forwarding, and even activate your cable, internet and phone services for your new home. 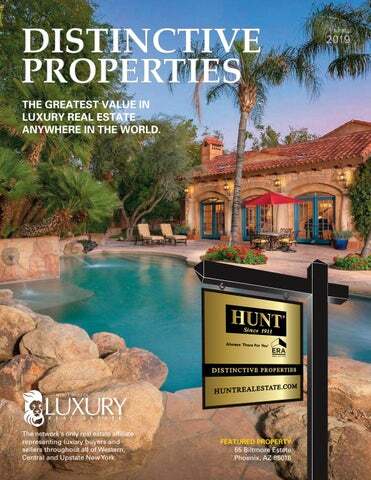 HUNT Homeowners Club Vendors You have instant access to our portfolio of HUNT-approved vendors. From contractors and remodelers to roofers and electricians, we can recommend the right vendors for any home related services you need. HUNT Homeowners Club Attorneys Our licensed Homeowners Club attorneys provide a wide array of legal services: Real Estate Purchase‚ Real Estate Sales‚ Power of Attorney‚ Simple Wills‚ Name Change and more. One-Stop Shopping We make buying, selling, financing, and insuring your home an easier and more satisfying experience through our ancillary businesses - HUNT Mortgage, Network Title, and HUNT Insurance. 9933 E Happy Valley Rd | Scottsdale, AZ 85255 Welcome to your Privately Gated 3+ Acre Estate. Panoramic Views of Pinnacle Peak & City Lights. Outstanding Details, Stone Fireplaces, Soaring Ceilings, Hardwood Flooring. Premium Appliances, Upholstered Media Room, Over-Sized Serene Master, Office, Exercise Room, Full Wet-Bar With A Walk In Wine Room, Second Story Observation Deck, All Bedrooms Have Private Baths, Amazing Breathtaking Resort Style Negative Edge Pool & Spa. Outdoor kitchen with Viking & Wolf Appliances, Pizza Oven, Fireplace, this is Your Own Private Oasis! NO HOA!!! Furniture available on Separate Bill Of Sale. 37247 N 103rd Street | Scottsdale, AZ 85262 Elegant 3 bed, 2.5 bath home in Scottsdale! This stylish home has it all! The front is well-maintained w/ exceptional desert landscaping, giving it lots of curb appeal! As you enter the home, you will find the foyer welcoming to you and your guests. The spacious, light-filled living room boasts a lovely brick fireplace. 5076 E 18TH AVENUE | APACHE JUNCTION AZ 85119 Your diamond in the desert awaits you!! Gorgeous ranch style home on HUGE 2.5 ACRE LOT with private well and maintenance free landscaping on auto water system! High 10 ft ceilings, arched doorways & wood floors are only a few of the wonderful features of this home! Let us shop these major carriers for you! WHO’S WHO IN LUXURY REAL ESTATE HUNT Real Estate ERA is a Member of Who's Who in Luxury Real Estate, the network's only real estate affiliate representing luxury buyers and sellers throughout all of Western, Central and Upstate New York. Who's Who and its website LuxuryRealEstate.com represent a compendium of the finest residential real estate firms from around the world. The organization’s 130,000 professionals in more than 70 countries collectively sell in excess of $190 billion of real estate annually. The site also features more $1 million dollar listings than any other luxury property website. ©2019 HUNT Real Estate Corporation. All rights reserved. 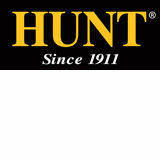 HUNT® is a registered trademark of HUNT Real Estate Corporation.